The Union Health Minister JP Nadda is reported to have responded to the concerning issue of online pharmacies, while speaking to the All India Organisation of Chemists and Druggists (AIOCD) president J S Shinde. 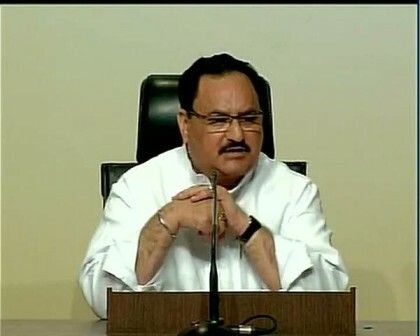 Nadda clearly stated his view that no decision has yet been taken to allow sale of medicines using the internet, a day after an umbrella body of druggists and chemists announced a nationwide strike on October 14 against “illegal” online sale of drugs. The statement comes in the light of the earlier news in the media about the efforts to regularize the sale of online medicines, amidst the growing disapproval of the many chemists spread across India. “The Union Minister clarified that no such decision has been taken by the government. He informed them that views of all stakeholders will be taken into account as and when the matter is taken up for consideration by the government,” an official statement said. AIOCD, which has eight lakh member chemists across the country, yesterday announced that it will observe a bandh this Friday to oppose the central government’s move to regularise online sale of medicines. “The government’s move towards regularising the sale of medicines through internet would increase the risk of adverse drug reaction, which will give an opening for the entry of low-quality,mis-branded and spurious products. Entering of low-quality products will have a major setback economically, which is estimated to hit eight lakh chemists and about 80 lakh workers and their families,” Shinde had said yesterday. The Union Health Ministry statement said that to clarify the matter, a meeting was held between senior officials of the Ministry and AIOCD on October 12 where the office bearers of the organisation were informed that a number of representations have been received both for and against this proposal. It was informed during that meeting that the matter had earlier been discussed in the meeting of the Drug Consultative Committee (DCC) held on July 24 this year comprising the Drug Controller General of India and all State Drug Regulators.